JACQUES ROUMAIN: A LIFE OF RESISTANCE can be ordered from the online catalog of Caribbean Studies Press at (http://educavision.com/jacques-roumain-a-life-of-resistance) or from your favorite bookseller. Every book is a journey, and this one has been fascinating, as Jacques Roumain's life took him into multiple domains against a tapestry of 20th century history. I hope you enjoy reading about this complex life. In the back of the book you'll find an Appendix of translated essay that brings Roumain's audaciously eloquent voice to life. An abridged version of my translation of Roumain's 1939 essay "Griefs de l'homme noir" ("Grievances of the Black Man") will be published in May 2019 by Transitions Magazine, the journal of the Hutchins Center for African and African-American Research at Harvard University. 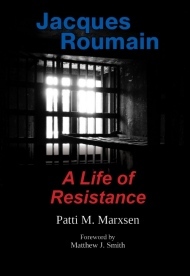 ALSO in MAY, I'll be signing copies of my biography of Roumain at the Owl & the Turtle Bookstore on Bayview Street in Camden, Maine, on Thursday, May 23, 5-7 pm. The first-ever English translation of "Chant de Notre Rhone" by C. F. Ramuz (1878-1947) appeared in a bilingual edition from Onesuch Press in 2015. This prose poem, originally published in 1920, is an artful ode to the land and the people living along the Rhone River as it winds through Switzerland and France into the Mediterranean Sea. Foreword by Susan Tiberghien. This was my venture into short fiction published by Educa Vision in 2010, because sometimes fiction is true and also because Haiti needs more thoughtful narratives and self-examination from those who come as "visitors." These stories are told from an outsider's angle of vision as she tries understand a complex culture. TO ORDER ANY OF THESE BOOKS, please contact your preferred bookseller. And if you love bookshops, please support them! 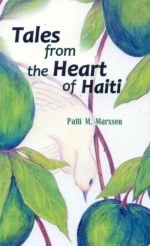 This collection of short stories set in Haiti explores the "outsider's lens" we often bring to Haitian culture. Published by Educa Vision in 2010 after being shortlisted for the Paris Prize for Fiction. 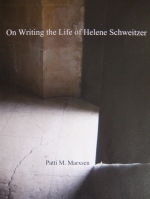 "Helene Schweitzer: A Life of Her Own" appeared in spring 2015 from Syracuse University Press. 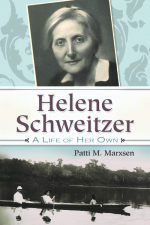 Please see the BOOK TALK page of this website for further info and endorsements of this first biography of the little-known wife of Dr. Albert Schweitzer. A companion to "Helene Schweitzer: A Life of Her Own," this essay speaks to readers and writers as it reflects on the biographer's journey and engages readers in the process of interpreting a life of a remarkable woman who happened to me married to a famous man. Kindle Edition Only. What a pleasure it was to bring this "ode to the Rhone" first published in French in 1920 by C.F. Ramuz into English. As the author said himself, "One sings here of the soul of a river, and this soul never dies." 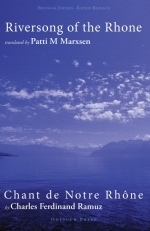 These essays go beneath the surface of life in Switzerland as they combine culture, history, and personal experience in what has often been referred to as "an island in the center of Europe." 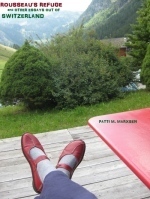 The 2nd Edition includes "Gateau de Payerne," winner of the Geneva Writers Non-Fiction Literary Award in 2013. 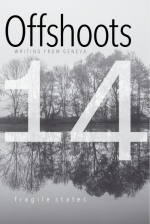 OFFSHOOTS 14 - WRITING FROM GENEVA, the biennial literary journal of the Geneva Writers' Group (2017) includes the work of over 40 Anglophone writers. I was pleased to serve as guest editor-in-chief for this edition. Theme: Fragile States. Photographs by Alistair Scott and artfully designed by Sue Niewiarowski. 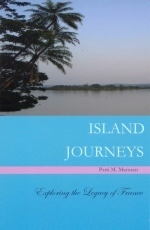 Seven essays on islands with French connections focus on the culture, history, and one woman's experience of travel amidst these "floating worlds." This book was a finalist in the Writers' League of Texas Nonfiction Book Awards (2009).